Lavender Absolute oil has a sweet, floral-herbaceous scent with balsamic undertones. It is obtained via solvent extraction and is therefore heavier than regular Lavender essential oil. Lavender Absolute essential oil is obtained by solvent extraction, whereas regular Lavender essential oil is obtained by steam distillation. The solvent extraction method involves agitating the flowers in a solvent such as hexane. This isolates the aromatic compounds as well as pigments and wax. The extracts then undergo vacuum processing to remove the solvent, leaving a wax-like material known as the ‘concrete’. This is mixed with alcohol to dissolve the aromatic compounds, leaving behind the wax and other substances. Low-pressure evaporation is then used to remove the alcohol which yields the final Lavender Absolute oil. This process results in a heavier oil which includes non-volatile waxes and plant dyes as well as the essential oil itself. Lavender is a calming, soothing, antidepressant oil. It is known as an adaptogen which means that it helps to heal and restore any body systems that are out of balance. Lavender Absolute essential oil has antiseptic, antibacterial, healing properties which are particularly beneficial for treating wounds, cuts, burns, spots and acne. Also helps to soothe dry and inflamed skin conditions such as eczema. 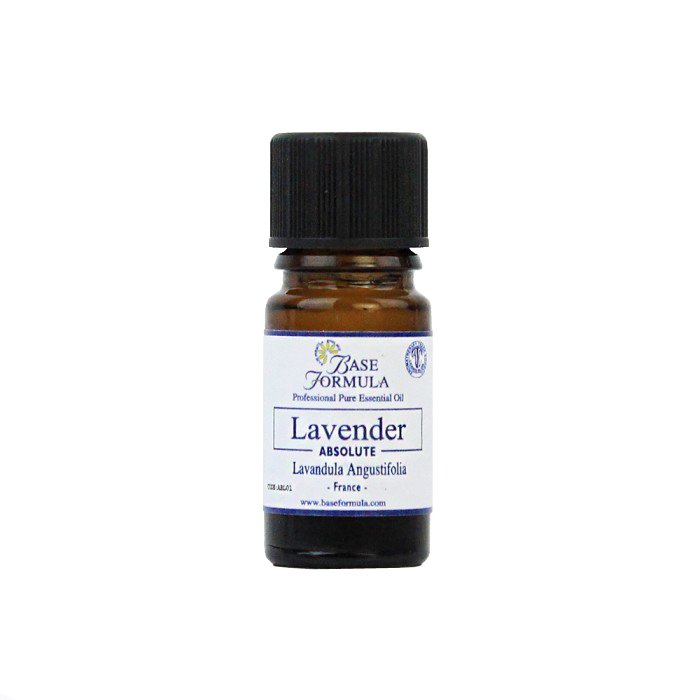 Lavender Absolute oil has a soothing, antidepressant effect which can help to balance the emotions, calm the nerves and relieve stress and tension. Also useful for aiding a restful night's sleep. Lavender Absolute has valuable pain relieving and anti-inflammatory properties that are particularly beneficial for the joints and muscles. Its antiviral and decongestant properties are also helpful for colds and flu. An excellent oil for headaches too - especially when used in combination with Peppermint oil. Blends well with: Most floral and citrus oils, Chamomile, Peppermint and Tea Tree.